On May 9, Governor Bill Walker ordered all state flags be lowered in honor of former Representative Moses Paukan, Sr., who passed away on Sunday, April 16. Moses Patrick Paukan Sr. was born on September 29, 1933 in Fish Village, Alaska to Jimmy Paukan and Agnes (Westdahl) Paukan. His Yup’ik names are Ilupaq and Kaucin. He attended school at Akulurak up until the 8th grade. In early 1950, he quit school and started working with the mission to move it to its present site in St. Mary’s, Alaska. He learned his mechanic skills while working with the mission. In 1959, he married Martha H. (Sinka) and had 9 children. Representative Paukan served in the Alaska Legislature from 1967-1970. He was the Mayor of St. Mary’s when he was appointed by Gov. Walter J. Hickel to replace the late Rep. John L. Westdahl in the State House in 1967. During the time he served as a representative, he advocated for airports, roads, and other infrastructure in the bush villages and was very successful in helping to build the infrastructure in our region. He was one of the first city council members in the City of St. Mary’s that helped form the First Class City of St. Mary’s. This was done in order to ensure that the people of St. Mary’s would have local control of their own school district. In the early 1970’s, he became involved with other entities in his community and region, serving as president of the St. Mary’s Native Corporation, president of the Association of Village Council Presidents, on the Calista Corporation Board of Directors, Algaaciq Tribal Government, AVCP Housing, and as mayor of St. Mary’s at various times throughout his local political life. He operated his own businesses—Paukan’s Cash and Carry merchandise, a pool hall, Paukan Taxi Service, 8M’s Grocery Store—and was the AVEC Power Plant Operator for 47 years. He worked as the St. Mary’s Native Corporation Store Manager and the AC Company manager. In 2005, he was elected and served as a School Board member for over ten years. He was a lifetime member for the AVCP Regional Housing Authority and served until his death. Moses Paukan Sr. was a family man first before anything else in his political life. He lived a traditional lifestyle that included subsistence fishing, hunting, commercial fishing, and traditional Yup’ik singing and dancing. 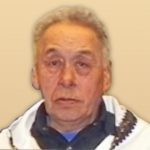 He made outstanding contributions to his community and the State of Alaska throughout his life, and will always be remembered for his contributions to his community, the State of Alaska, and the Yup’ik people of the Lower Yukon/Kuskokwim Region. Moses is survived by his loving wife of 57 years, Martha nèe Sinka; children Moses Jr., John, Michelle, Marcia, Melvin, Marvella, Mabel and Josephine; 30+ grandchildren; and 40+ great grandchildren.